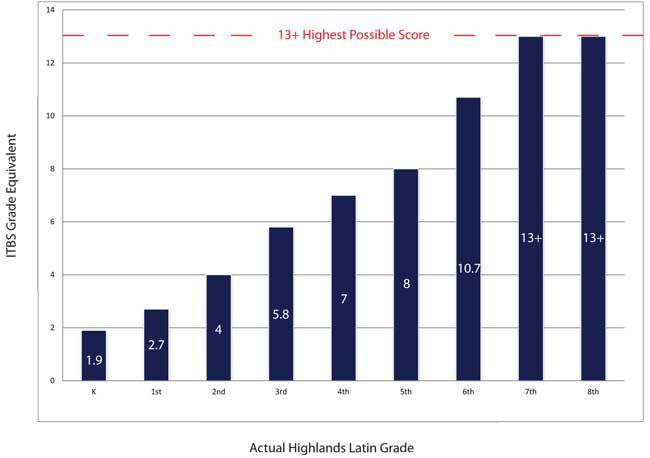 Highlands Latin School scored in the top 1% of schools across the country for the 9th year in a row on the ITBS Standardized Test. Our students scored an average of 3.1 grades above their grade level. Click here to see ITBS data for every Highlands Latin School class since 2005 and learn more about our test scores. Highlands Latin 1st in Louisville on ACT. Louisville Magazine ranked Highlands Latin 1st in Louisville on ACT (and SAT) for the second year in a row.